IS PLANT BASED RIGHT FOR YOU? Who would benefit from a plant-based diet? transitioning period and beyond. The National Center for Biotechnology Information, a plant-based nutrition may help those with struggling with obesity, diabetes, heart disease, and high blood pressure, as well as those concerned with using food as medicine and add years on their lives2, which happen to be the five major health topics that people correlate a plant based lifestyle with. For those who struggle with obesity, a plant based lifestyle has been shown to help better control weight as opposed to one that includes greater amounts of meat. In Oxford Universityâ&#x20AC;&#x2122;s five year study European Prospective Investigation into Cancer and Nutrition they collaborated with the International Journal of obesity to report that a diet with little to no meat directly correlates to less weight gain throughout the course of a year. In this study those who consumed meat had a much higher BMI as opposed to those who do not3. This is something Iâ&#x20AC;&#x2122;ve personally experienced and can attest when I became a vegetarian. Many people have noticed a drop in weight with the exclusion of meat in their lives. A plant-based lifestyle is a great option for those who live with the difficulties of diabetes. The NBCI found that when a diet is based on low fat vegan foods, it not only can improve the sensitivity that some may have to insulin but also decrease the resistance to insulin as well 4. This, in turn, would make it easier for the body to regulate glucose that it intakes. pressure during beats) and diastolic (bottom number, pressure at rest) blood pressure6. In regards to “adding years to the clock”, the National Institutes of Health conducted a study where they found that over a six year period, those on a plant based nutrition were 12% less likely pass away from causes that stem from a non-plant based lifestyle7. This also correlates with the youthful appearance many older plant-based eaters have and maintain. Overall, truly caring about what goes on the inside of your body will later show on the outside. The non-specific benefits of a plant-based way of life includes better energy and focus for the mind and the body. Many plant-based followers have found greater amounts of energy throughout the day without the use of sodas or energy drinks. The body transforms to become more agile and less sluggish, whereas the mind is much clearer and can better focus on tasks throughout the day. Personally, I’ve noticed a significant decrease in chronic issues that couldn’t be solved with help of my doctor. Eating plant-based has freed me from a being constantly tired regardless of sleep, regular headaches/migraines and stomach or body cramps. 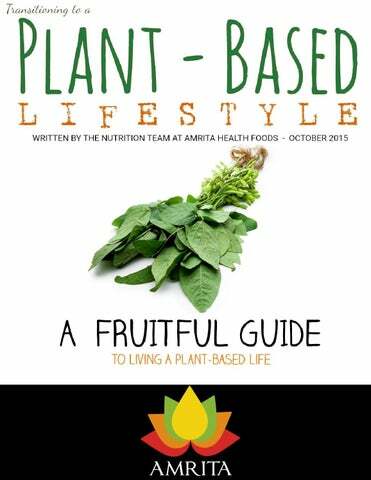 The Amrita Health Foods blog offers great information for plant based eaters. Our blog offers inspiration from athletes, experts, various recipes, and detailed information on different super foods that can take any nutrition lifestyle to the next level in a delicious way! GET INSPIRED: Reading success stories of others who have been in your shoes not only makes you feel as part of a greater community, but can also give insight and perspective of your journey, regardless of where you’re at. Be sure to do your reading as well. There are many of blogs and books to read that can help get you through this transitioning period with tips and stories. Rich Roll has been deemed as “the world’s fittest man”, and his books and blogs provide rich and valuable information and inspiration! Never forget the timeless saying “there’s strength in numbers”. It always helps to take on new journeys like this with friends and/or family members. You can also reach out to others who are plant based along the process via meetups. WRITE IT OUT: Make a list of all your favorite foods and meals. It’s fine if the list includes some with meat. When you’re done, circle the ones that go in hand with the new meal choices you want to adopt, whether it be vegetarian or vegan. You’ll be shocked at how many foods you already eat without feeling the need for meat and/or dairy, such as an easy substitution with tofu. DON’T PUSH THE BANK: Meat is one of the most expensive items in the grocery stores. Eliminating them can help you to not just save money, but feel fuller and more energized at a major discount. A great resource is HappyCow.net. 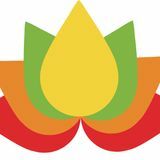 This site provides their own VegiMaps ™, which is a way to research restaurants or local stores that are vegetarian, vegan, or veggie friendly. As mentioned above, buying produce from a local farmer’s market and eating foods that are in season as well are also cost efficient. COOK MORE OFTEN: It’s hard to figure out if meals at your favorite restaurant are truly vegan or vegetarian. The simple way to avoid this is to cook a bit more at home. This not only helps to avoid a setback but can help you become more comfortable with cooking without meat. If cooking happens to be an area that overwhelms you, there are many companies that will deliver recipes and the accompanying ingredients to your door for you to cook and follow on your own. In addition to being extremely convenient, many offer vegetarian or vegan options. Plated is an amazing option, regardless of your plant based lifestyle. REDUCE MEAT IN INCREMENTS: Slow and steady wins the race. Start out with one plant-based meal a day, then try introducing more overtime. Eventually, you can try to go one week without red meat, continue for two weeks, the next remove poultry as well, two more weeks, no fish or dairy. Gradually changing old habits makes it feel less restrictive. TRY OUT NEW RECIPES WITHOUT MEAT: Transitioning with changes to your favorite meals right away can sometimes make you feel unsatisfied if you’re not yet accustomed to the new lifestyle. Try a brand new and exciting recipe that works for you to avoid that feeling. TWEAK YOUR CRAVINGS: You shouldn’t feel deprived or restricted during this process, and although many cravings can be unhealthy you should learn to tweak them to make them work for you. For example, if you’ve been craving a burger that day, try out a new veggie burger, either from a recipe or a local vegetarian restaurant. WHEN IN DOUBT, FLEX IT OUT: A great way to adopt a healthier, meat-free lifestyle if you’ve struggled is the Flexitarian option. In a nutshell, instead of being vegetarian or vegan every single day, you can adopt this lifestyle part-time. This can help ease the stress with social situations and still be a great improvement on your current nutrition. SOY ISN’T THE ONLY OPTION: As you get more comfortable to this new way of life, remember that you always have options. Whether you want a glass of milk with your breakfast or have a craving for a burger you don’t have to limit yourself to soy. There’s almond, coconut, or cashew milk options, and a soya burger can be very delicious. TRY THE 21 DAY VEGAN CHALLENGE: If this seems like a stretch, alter it for yourself. Maybe only 7 days or two weeks is enough, but remember, gradual steps can help set you up for a lifetime of success. This is also a great way to challenge yourself if you want to further progress with your plant based way of life. PLANT-BASED LIFESTYLE As with many good changes in life, there will always be aspects that one should look after and pay great attention to. The benefits of a plant-based nutrition are many, but there are also things to look out for to ensure that you can achieve them allâ&#x20AC;Ś. TIPS & TRICKS 4 Simple Tips to Make the Transition Easier Buy in season and in bulk: Not only are buying fruits and veggies in season healthier, they are also more affordable. When produce are in season, they’re more readily available which in turn lowers the cost of them. Buying in bulk is also very economical, especially if it’s for fruits and veggies that you eat more of. Freeze produce that’s beginning to spoil: Fruits and vegetables can spoil rather quickly depending on how they’re stored and the environment they’re kept in. Whenever they are beginning to turn, chop them up and freeze them as opposed to tossing them away. They then can be used in smoothies to make later and help you in making the plant based lifestyle more affordable. This also helps you to prep your smoothies ahead of time. Fresh fruit is more affordable than ones that are sold frozen, and are therefore not processed as well. The classic strawberry banana is my favorite, but I also add in spinach and fresh orange juice for extra flavor and nutrients. BREAKFAST Apple and Spinach Creamy Green Smoothie Ingredients: ● 2 cups spinach, fresh ● 2 cups water ● 2 cup cut & cored apple ● 1 avocado ● 1 cup ice Directions: Just add all the ingredients into a blender and mix until smooth. This pairs great with any of our bars to keep you full until lunch time. Directions: This recipe is super simple! Preheat the oven to 350, and place the quinoa on the stove to cook. While that is cooking combine all ingredient in the sauce together in a blender and then place in the fridge to cool. Then combine the garlic, lemon, cumin, salt, olive oil, dates and onion into the food processor. Once that is all mixed add in pistachio, cilantro, parsley and mint until the mixture is smooth. Using a small ice cream scoop or a spoon portion out small balls on a baking sheet and let cook for 30 minutes or until golden brown! Assemble your salad and do not forget about your dressing in the fridge! 1 cup of soaked cashews ⅓ cup of coconut oil 2 tbsp maple syrup 1 tbsp lemon juice. Directions: Combine all the ingredients for the balls in a large bowl. Using your hands or food processor knead together the ingredients until that form an emulsified ball. Portion out smaller balls and place in the freezer while making the frosting. For the frosting combine all the ingredients into a blender or bullet. Dip or pour frosting over the bars and enjoy! purchased fresh and stored in your refrigerator. This can serve as a great first step when grocery shopping but of course feel free to add in your favorites as well!